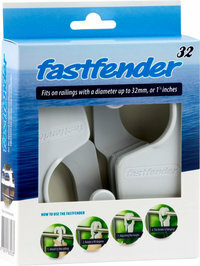 Attach boat fenders quick and easy, order your Fastfenders now! Order 3 sets and get 1 extra set for free! 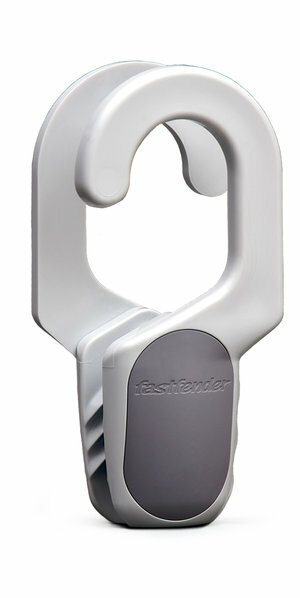 Fastfender makes docking the boat easy and fun! Nervous when coming up to an unfamiliar dock? Getting the fenders properly adjusted when going into a strange marina is usually a guessing game, but not anymore! 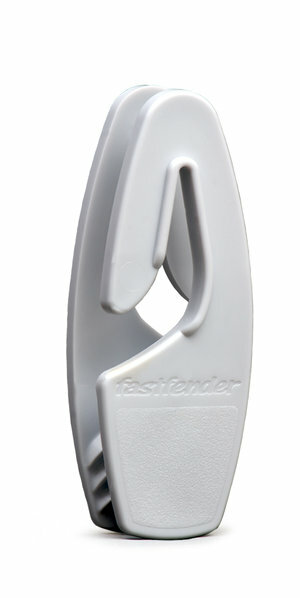 With Fastfender you, your wife or your fellow passengers are able to adjust the height of fenders in seconds! If you need to raise or lower a boat fender it's as convenient as lowering your blinds. The perfect gift for every boat or sailing yacht owner! Worldwide delivery, order your Fastfenders now! 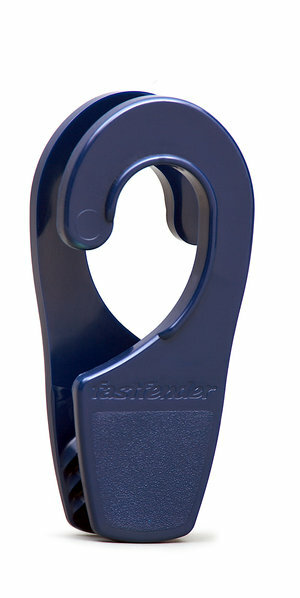 Fastfenders of every variety can be ordered in White, Blue or Black, to best match your rope, boat or other decor. Be sure to order the correct size to fit your rail diameter. 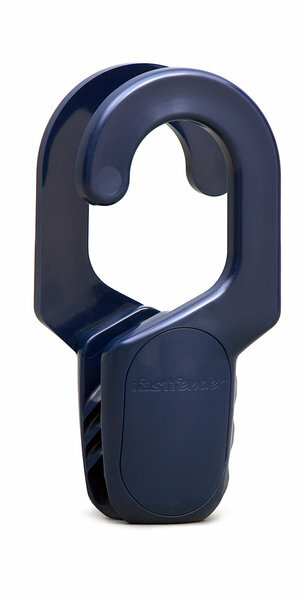 Designed for securing fenders on steel wire railings of up to 8 mm Ø. € 14,90 set containing 2 Fastfenders Order 3 sets and get 1 extra set for free! 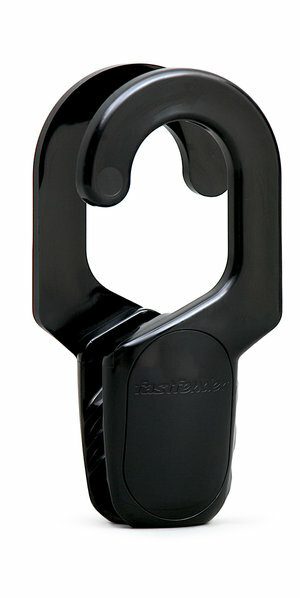 For securing fenders to railings of up to 25 mm Ø. Suitable for sailingyachts and motorboats. € 24,90 set containing 2 Fastfenders Order 3 sets and get 1 extra set for free! € 29,90 set containing 2 Fastfenders Order 3 sets and get 1 extra set for free! 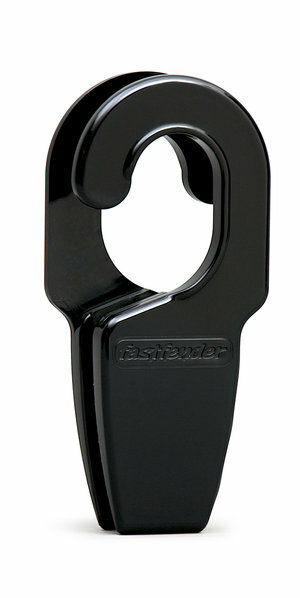 Fastfender is the perfect gift for every boat or sailing yacht owner! We've had these for the past 2 years and they are by far the best fender holders we've every had. Once the fender is attached at the right length, the holder can be easily added or removed from the boat rails. They stay secure and are very strong. It may be simple but most amazing things are. I bought them for my Sea Ray 240 Sundancer and it makes fender adjustments for different docking or rafting tie ups very easy. Plus install/ removal is so much nicer than dealing with four lines all the time. I've used a lot of different fender holder quick tie ups over the years with both boats I've owned and these work and are by far the easiest I've used for quick adjustments. Excellent product! The design also allows for quick pack up at the end of the day. Takes 15 seconds to attach/ detach 4 fenders. I love boating and anything that makes it easier is a great find. I used to get annoyed with permanently tied bumpers on a 20' key west boat. Passengers that rode in the front area would have to use the bumpers as pillows. Now I can easily take off the bumpers and store them out of the way, the clips worked great on hand rails on the bow as well as the metal poles that hold the canopy. 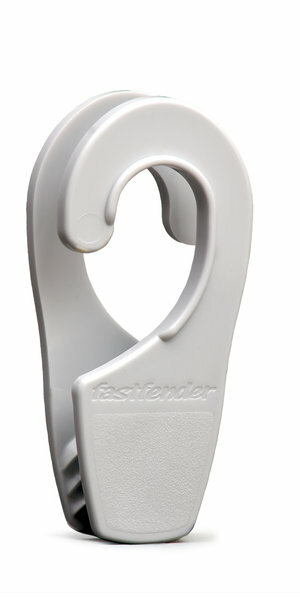 By using the Fastfender fender hanger it is possible for everyone to attach and remove boat fenders in a moment's notice. 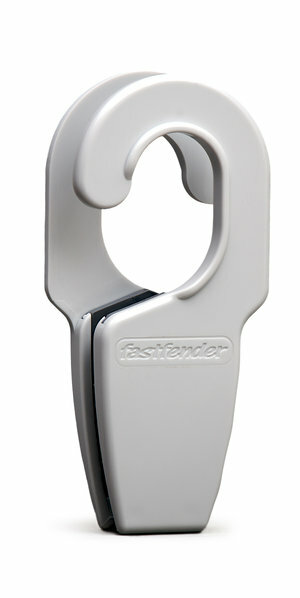 Fastfender products are very easy to use with one hand, even when the fender is already hanging. The Fastfender is the ultimate solution for the rapid and straightforward hanging, adjustment and stowing away of boatfenders. The Fastfender comes in four different models. We produce models for a diameter of 25 mm, 32 mm and 40 mm railings. Besides that, we have one model especially designed for steel wiring on sailing yachts, which is the Fastfender Sail. 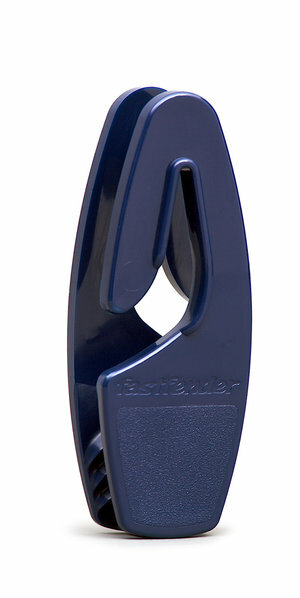 All Fastfender products are available in three different colours: blue, black and white. Struggling to find a gift?